I have a gripe to pick with Pinterest. Sure, there are a lot of pretty nail art pictures and hair tutorials, and I'm all about that life, but the Internet is a scary place. We know not everything you read is true (like how not everything you watch on TV is true... RIGHT?). For some reason, misinformed people like to go around spreading what I like to call "beauty rumors" backed up by incorrect facts. One of the myths that I see most often out on the ol' interwebs is the benefit of using lemons in skincare. Now I'm not talking about the use of citrus in formulated skincare products (which I have mixed feelings about, and is a post for another day), but people literally rubbing lemons and lemon juice on their faces. Just searching "lemons in beauty" almost sent me into anaphylactic shock. (If you don't know what I'm talking about, click here, here, or here, but don't say I didn't warn you.) There are SO many reasons why you should ignore all of those pretty pictures and just scroll past them, and I'm going to share some of them with you today. Citric Acid - This is a natural AHA (alpha-hydroxy acid), which is a great chemical exfoliant. This particular exfoliant is used for removing the top (often dead/dry) layer of skin to reveal new, fresh skin underneath. This can take away that "dull" look and thereby "brighten" skin. (Keep in mind that this ingredient also has some hefty bad points, but more on that later). There are a lot more cons than pros in this case. I'm not going to talk about every single one (or we'll be here all day), but I'll mention the most important ones. Lemons (and citrus in general) are highly acidic, with a natural pH level of 2. Skin has an average pH level of 4.45 to 5.56. I know that doesn't sound like a lot, but it actually makes a huge difference. Messing with the pH of your skin like that can do a bunch of different things, from damaging new skin cell production to irritating the skin. Citric acid can be a bit too strong for our faces. Think of it as though your skin has constant acid reflux. I know when we think of lemons, we don't think of them being toxic, but our faces believe otherwise. Lemons and the sun don't mix, meaning that irritation can increase tenfold, even to the point of potentially causing a chemical burn. This can cause something called phytophotodermatitis (fi-toh-foh-toh-dur-mah-ty-tis), or PPD, which basically means that repeated use can actually worsen hyper-pigmentation and brown/sun spots, as well as cause new spots. Talk about being counter-productive! Vitamin C is great and all, but there are plenty of other harmful ingredients like furanocoumarins and psoralens that make using lemons a bad idea. Furanocoumarin, also found in grapefruit, is one of the ingredients that causes the phototoxic reaction when your skin is exposed to the sun (see #2). Psoralens are also found in figs, and can contribute to the development of photodermatitis. Topical application can contact dermatits, which is really uncomfortable and gives your skin a red, itchy rash, something you commonly find with poison ivy. Not all lemons are created equal. Lemons are grown in different places, at different times of the year, are picked at different times, are used at different times in their ripening process, etc, What if it was kept in the refrigerator for awhile? These can all change a lemon, so even if using lemons was good for your skin, which one would you use? As I like to talk about often, strong fragrances (even natural ones) have the possibility of ruining skin cell and collagen production. That's not to say this will happen to every person, or that you will simply stop producing skin, but causing internal irritation could make the cell turnover process take longer. We typically want as high of a skin cell turnover rate as possible--that's why people use Retinol: to get the top layers of skin off and reveal the under layer of fresh, beautiful skin. You might not see the effects on your skin in the mirror, unless your skin is extremely sensitive (or you suffer from rosacea or eczema). However, people in white lab coats with the access to microscopes have studied this stuff. It's a real thing. 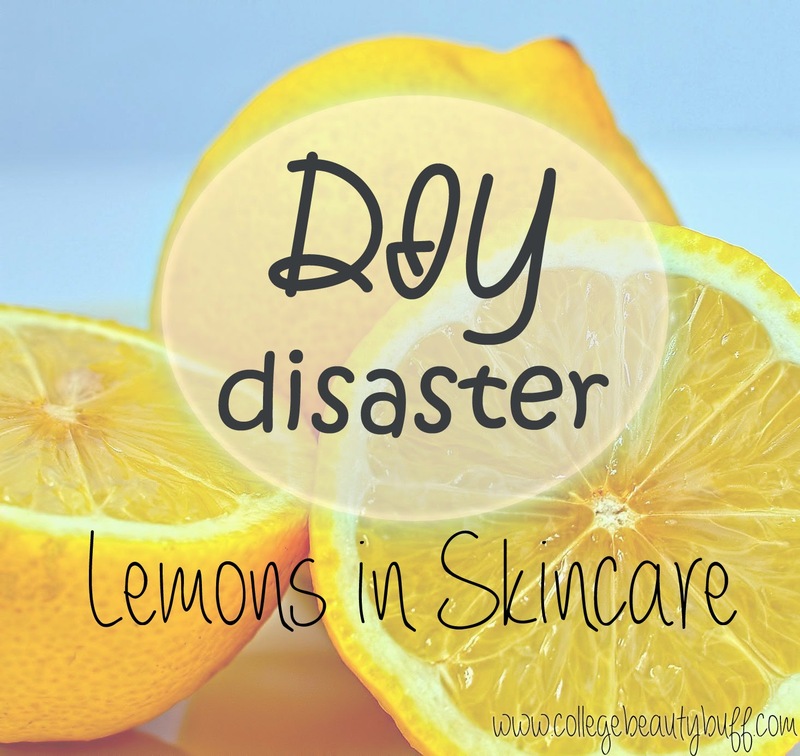 This isn't to say that use of lemons/lemon juice in every single skincare product is bad. Some companies have the power to use processes that can remove the phototoxic elements to make them safe for daytime use. However, most of us don't exactly have that kind of technology or how-to at home to do with the lemons we buy in the supermarket. Also, as of right now, I don't know if there's a way of knowing which companies have made their products safe to use and which have not, so that's something to think about. Still, even if you only lemon-based products at night, there's still the high fragrance to consider and the possible skin cell death. 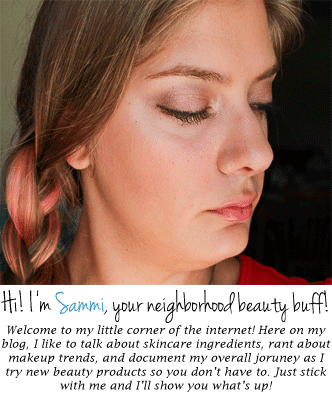 However, I can't speak for every single person out there as to whether or not it will severely impact you, because I'm just one beauty buff and there are so many of you! Also, keep in mind that the dangers are worse for leave-on products than things you use for a minute then rinse off. That's not to say you can rub your face with a lemon, rinse it off, then go outside (why would you even do that, really?). But the negative effects might not be as bad, since the product doesn't have time to sink into your skin. Chemical Exfoliants: If you're looking for a chemical exfoliant, check out Paula's Choice. Her formulations are strong enough to work but don't have a pH nearly as low as lemons (hers have a pH level of 3.5 to 3.9). I'm a huge fan of her salicylic acid treatment. Obviously you should still wear sunscreen if you're using these in the daytime (Paula's Choice recommends an SPF of 25 or higher). If you use another AHA that you're really happy with, let me know. I'd love to hear about it! Vitamin C: A good way to provide your skin with Vitamin C and the other nutrients it needs is by a serum. A lot of people like the Ole Henrikson Truth Serum, but I don't think it's worth the price. I personally didn't see any beneficial effects from it, but then again, I don't have any sun spots or hyper-pigmentation (and hopefully won't ever get any). It also has a pretty strong sickly-sweet smell that I'm not a fan of (see #5, and I also just don't like it from my nose's point-of-view). A lot of well-formulated Vitamin C serums are super expensive (around $100) so I'm always on the lookout for a cheaper alternative. Right now, my favorite is Modere's Antioxidant Gel (see my Modere review here), because it doesn't have nearly as strong of a fragrance, doesn't irritate my skin, and uses a form of Vitamin C called tetrahexyldecyl ascorbate, which is formulated to better penetrate the skin. Let me know what Vitamin C serum you're loving right now--I'm always on the hunt for the best one! If you're interested in reading up on this, check out some of the sources I used for more information! Phew, that was a mouthful. I hope this post was helpful. If you have any questions, feel free to ask me below, and I'll answer them the best I can! What do you think about the whole "DIY beauty with lemons" trend going around? Want to see me rant about ingredients some more? Click here! Disclaimer: I did not invent lemons.